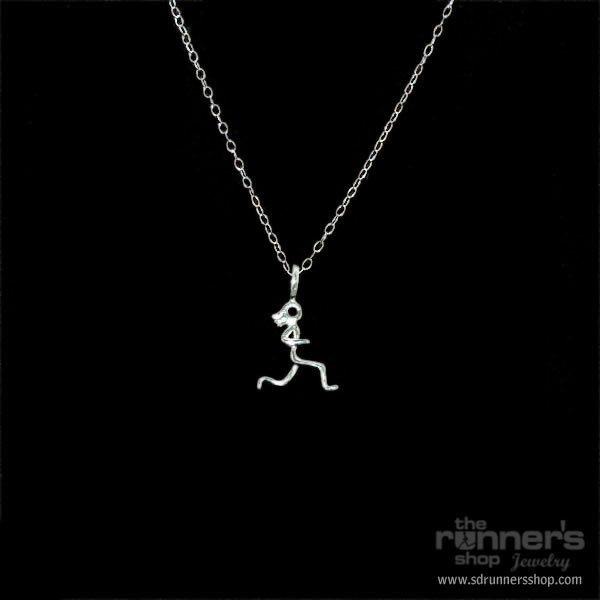 For your special runner, a beautiful sterling silver “Iris” Stickgirl runner with 10 karat gold ” frosted” Black Hills Gold Leaves on her feet. 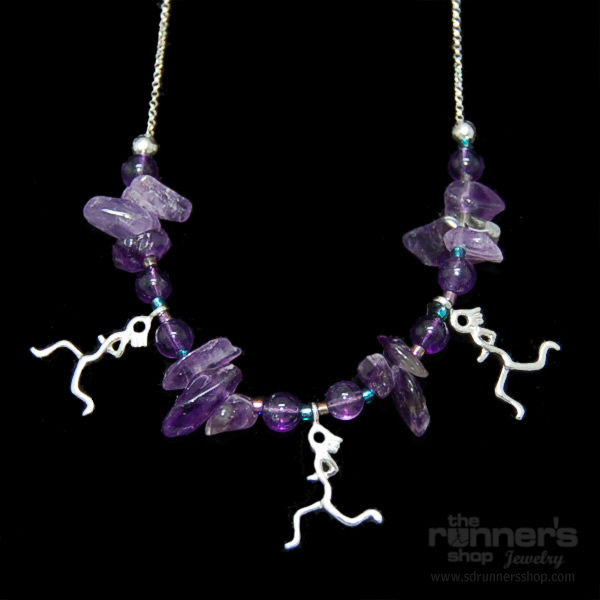 This neckalce also has a 2.5 mm birthstone set in the head of our girl runner. 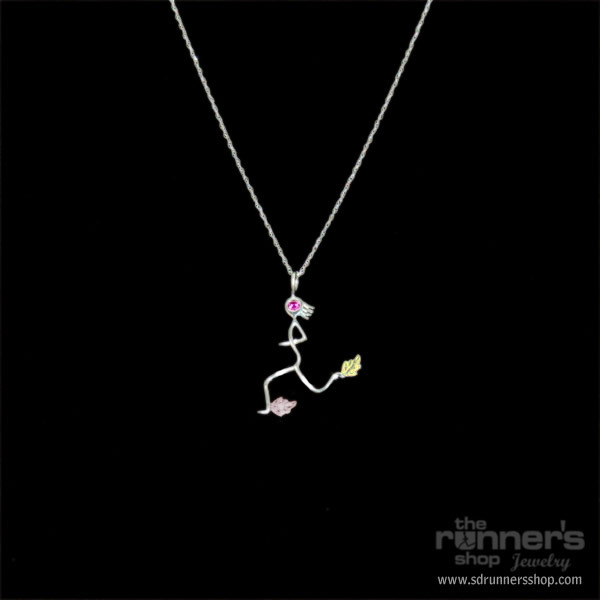 All on an 18 inch sterling silver chain. These pieces are only made in the Black Hills of South Dakota. 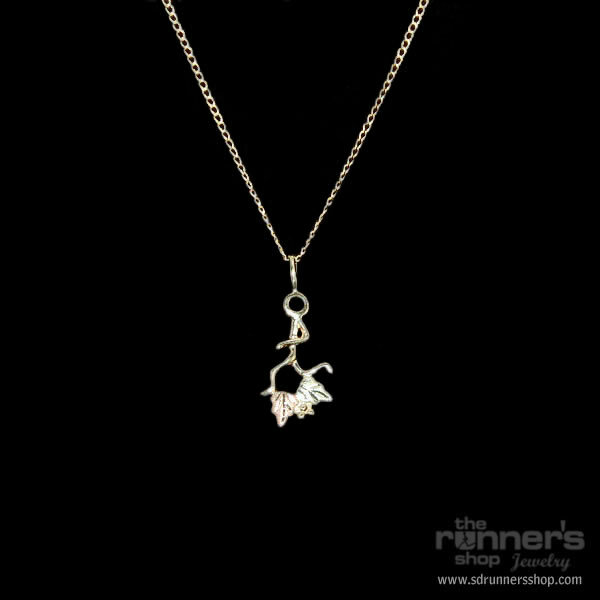 All of our jewelry pieces are designed and handcrafted by a gifted jewelry designer and are not available anywhere else. The Greek goddess Iris was the personification of rainbows, and a divine messenger to the Greek Gods, and is often represented with wings; in this case on her feet. 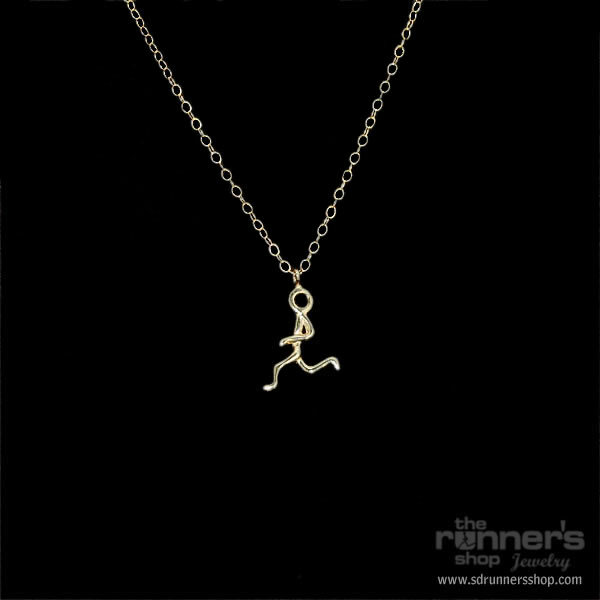 Your runner will be pleased to wear this unique piece of jewelry as an emblem of their hard work and dedication to their lifestyle and favorite sport – running.